"Although opioids are not – and should not – be the first-line treatment for an ankle sprain, our study shows that opioid prescribing for these minor injuries is still common and far too variable," said lead author M. Kit Delgado, MD, MS, an assistant professor of Emergency Medicine and Epidemiology at Penn. "Given that we cannot explain this variation after adjusting for differences in patient characteristics, this study highlights opportunities to reduce the number of people exposed to prescription opioids for the first time and also to reduce the exposure to riskier high-intensity prescriptions. 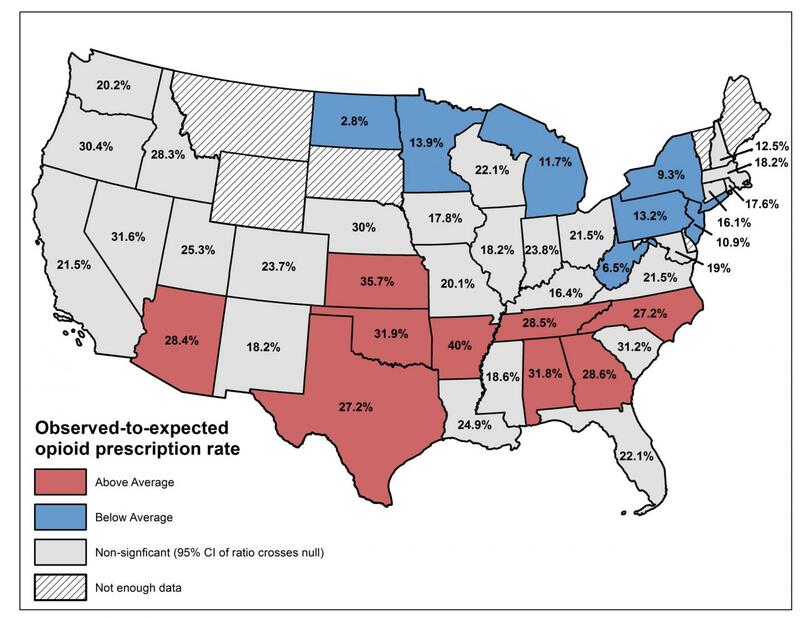 "Although prescribing is decreasing overall, in 2015 nearly 20 percent of patients who presented with an ankle sprain were still given an opioid, a modest decrease from 28 percent in 2011," Delgado said. "By drilling down on specific common indications as we did with ankle sprains, we can better develop indicators to monitor efforts to reduce excessive prescribing for acute pain." "There is a clear need for further impactful guidelines similar to the CDC guidelines that outline more specific opioid and non-opioid prescribing by diagnosis," said senior author Jeanmarie Perrone, MD, a professor of Emergency Medicine and director of Medical Toxicology at Penn Medicine. "Medical, surgical, and subspecialty societies should convene to propose best practices similar to the popular 'Choosing Wisely' campaign, acknowledging that pain management for most diagnoses can be accomplished with non-opioids. And certainly, ankle sprains are a model example." "Simply making these amounts the default setting electronic medical record orders could go a long way in reducing excessive prescribing as our previous work has shown," Delgado said. "It would be great to see analyses such as ours replicated in other settings, such as post-operative prescribing, where prescriptions are higher intensity. In these settings there may be greater opportunities to decrease transitions to prolonged opioid use by reducing excessive prescribing."